The Ghana Shippers' Authority has held a sensitisation workshop for haulage operators and haulage drivers, on road safety issues on Ghana's transit corridors. Participants at the workshop were taken through Road Safety and Major Road Traffic Laws and Drunk Driving in Ghana and its legal implications and the safety of our roads. Others were; Implementation of Axle Load Regulations in Road Traffic in Road Traffic Regulations, 2012 (L.I. 2180) and Regulation 14 of UEMOA on Harmonisation of the Control of Dimension, Weight and Axle Load of Heavy Duty Goods Transport Vehicle of within UEMOA Member States. Ms Benonita Bismarck, the Chief Executive Officer, Ghana Shippers Authority, speaking at the event in Tema, said the workshop was the first in a series of stakeholder engagements scheduled for the year, to address the key issues that were confronting the haulage industry. She said the Ghana Shippers Authority in line with its mandate of promoting and protecting the interests of shippers (importers and exporters) had committed itself, over the years, to collaborating with stakeholders of the trade and transport industry with the view to finding solutions to challenges and bringing world-best practices to the shipping industry of Ghana, in order to make it very efficient and competitive. 'Our extensive collaboration in this direction, with institutions like Ghana Revenue Authority - Customs, Ghana Ports and Harbours Authority (GPHA), West Africa Trade Hub (WATH) now Borderless Alliance, Ship Owners and Agent Association of Ghana and the Freight Forwarding fraternity were matters of public record. Ms Bismarck said Ghana had in compliance with international agreements, protocols, conventions and other accords, offered its territory as a corridor for its landlocked neighbours to transit their goods to and from these countries. She said following from this, significant efforts had been made to facilitate transit trade and made its corridor one of the most attractive in the sub-region. She said the port expansion project being undertaken by the GPHA, the planned development of the Boankra Inland Port project, activities of the National Trade and Transit Facilitation Committee and other government Agencies bear eloquent testimony of government's commitment to enhancing the growth of transit trade along its corridors. She said in spite of the foregoing, there were fundamental issues that required our undivided attention, if these giant effort would produce the desired result and noted that the sensitisation workshop was therefore, targeting haulage truck drivers one of the key players in Ghana's transport corridors, because of their unique role. 'These gentlemen are involved in the movement of thousands of tonnes of international trade cargo, through the length and breadth of this country as well as to distant destinations in Burkina Faso, Mali and Niger at the risk of their lives,' she stated. 'As critical stakeholders in the transport logistics chain, no effort should be spared in ensuring that they are regularly sensitised and fully equipped on the international conventions, national/regional regulations that relate to their operations, in order to engender compliance,' she added. Ms Bismarck said if Ghana was to attain its position as the preferred transit country and become the gateway to the West African Sub-Region, then we must all be committed to contributing our quota to finding solutions to the plethora of challenges affecting the growth of Transit Trade in Ghana. 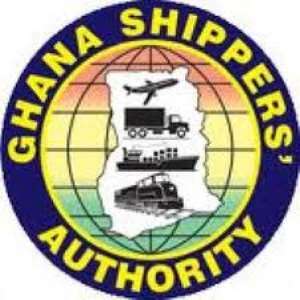 She said the Ghana Shippers' Authority had scheduled quarterly meetings with the executives of the various transport unions with the view to discussing issues affecting their operations. She said in 2018, one thing that was likely to dominate these discussions was the proposal for the formation of a Council of Port Transport Unions - one representative body that would champion the aspirations of the Union Membership to ensure that we forge ahead with one voice in all deliberations on the Transit Trade. Mrs Esther Gyebi Donkor, the General Manager, Marketing and Corporate Affairs, GPHA, who chaired the function, said a critical component of efficient haulage systems was compliance with laid down conventions and regulations both at the country and sub-regional levels.